Thinking of giving your kitchen counters new life? Have you considered quartz countertops? Unlike granite they are not a natural stone but an engineered stone made of from ground-up particles of stone bound together with resins. They are extremely durable making them the perfect choice for families with young children. Choose black quartz countertops to help hide any messes kids might make. Or go for a clean sleek look in your kitchen with white quartz countertops. 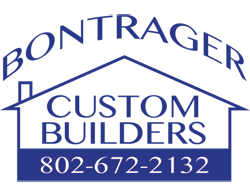 One of the great aspects of quartz countertops is the variety they come in. 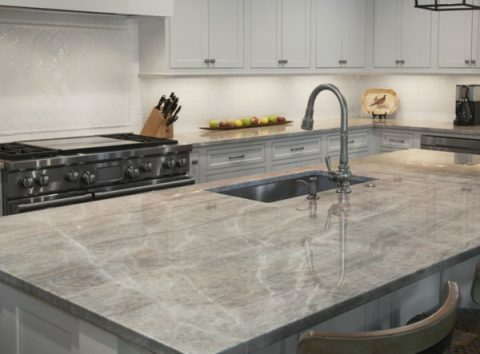 90 percent of the countertop is made up of stone-like materials that form the base of quartz countertops are all waste by-products of other quarrying or manufacturing processes. Crushed up waste granite, marble, and natural stone or recycled industrial wastes such as ceramic, silica, glass, mirrors, etc. And yes, maybe some actual quartz—sometimes maybe a lot of it. All this rock material mixed together and held together with binders is what gives a so-called quartz countertop the look and feel of stone. No natural stone is quarried solely for use in quartz countertops. Even the resins that comprise the remaining 10 percent of a quartz countertop have become more natural and less synthetic. The trademarked word for this ingredient is Biolenic Resins, referring to a combination of artificial and organic resins, the latter derived from non-food vegetable oils. Homeowners who in years past might have chosen slab granite are increasingly choosing quartz. But, for anyone who wants to install granite, the increase in quartz demand has resulted in lower prices due to lesser demand for granite.